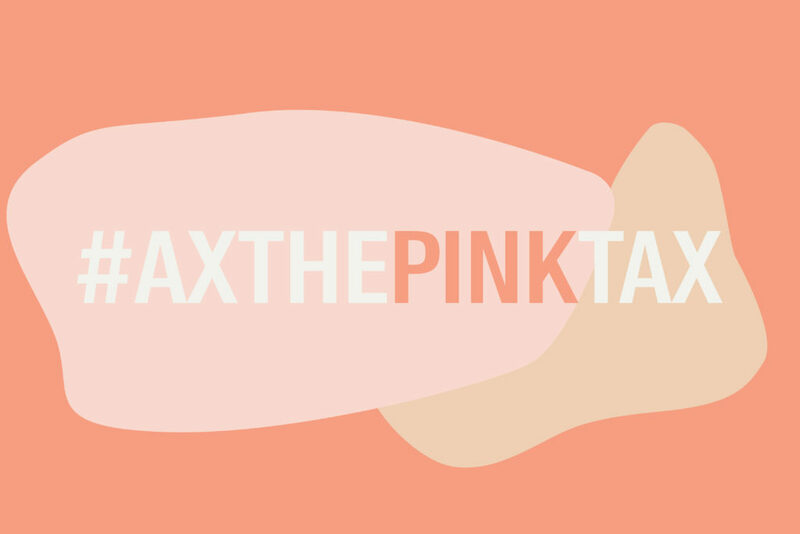 The Horrifying Reality Of The Pink Tax: Why Does it Cost More to Be a Woman? The Horrifying Reality Of Pink Tax: Why Does it Cost More to Be a Woman? Have you ever noticed how female products and services are costlier than that of men? How by just giving products delicate looks and usually turning them into pink act as a catalyst for the companies to attract more money? ‘Pink Tax’, as the name suggests has something to do with women as from Delhi Metro Magenta Line’s women compartment to instilling idea of ‘pink is feminine’ into little girls’ minds – it’s a vicious cycle of reinforcing the stereotypes about the colour and its relation to gender. The pink tax refers to gender based price discrimination where women are made to pay more than men for same products and services. In other words, it’s not actually a tax but an “income-generating scenario for private companies who found a way to make their product look either more directed to or more appropriate for the population and saw that as a moneymaker,” explains Jennifer Weiss-Wolf, a lawyer, vice president for the Brennan School of Justice at NYU School of Law. Pink tax is a global phenomenon. It has been found that women pay at least twice as much than men in more than half the time they shop. The New York City Department of Consumer Affairs released a study titled ‘From Cradle to Cane: The Cost of Being a Female Consumer‘ comparing the prices of over 800 products which found that products for women cost 7 percent more than the same products made for men. We all are witness to men joking about their girlfriends having an undistinguishable new haircut for double the amount they pay for a fancier haircut but when it comes to acknowledging this disparity – voila! There is no disparity, of course. Women are often perceived by big corporations and brands as ‘feeble’ minded insecure targets used solely for instilling profits. In India we do not have any credible data to show the existence of pink tax. This gives birth to the argument that pink tax is nonexistent in India. In the Indian context it would be more apt to say that we do not have any pink tax levied on women products per se but we do have evident gender price discrimination in products and services. It’s totally unfair and discriminatory if as women – or as someone who purchases products marketed to women – are made to pay extra for a pink/delicate razor instead of a blue one. Also, it’s a double whammy for us women as we already earn less due to the apparent wage gap. Here are some ways in which we can avoid being a victim of pink tax in particular and capitalism in general. Awareness, of course, is the key. Recently we saw how awareness and protests forced government to scrap tax on sanitary napkins. Let’s come out of the made-up roles that society has forced upon us and be confident in buying products that might not go with the stereotypical femininity but will be good for our pocket. Prefer Unisex products (if available) over ‘women’ products. Prefer gender neutral or men products if feminine looking products are costing you more. “Every branded product has a real value and a perceived value. If the perceived value is higher, so will be the price. Marketers understand the consumers’ expectations and willingness to pay. Often we pay for the packaging too, and not just for women’s products,” says Santosh Desai to Outlook India. It is important for us women to be aware of what we really need for our bodies and not let advertisement convince us otherwise. We can boycott products that have gender discriminatory pricing policies. I, personally, wear very few brands that too only when it comes to long term products like watches, bags, shoes and gadgets. Most of our famous brands don’t only have gender discriminatory pricing policies but are also exploitative of labour norms, human rights, and to the environment. We can also prefer stitched clothes over branded clothes which will help us saving our money and will also provide employment to our local tailors and workers. Never undermine the power that women consumers hold as women are the largest consumers in the Indian market. The next time you are asked to pay some extra bucks for being a female consumer: question them and register your resistance. Raise your voice against the sexist policies of such companies and also appreciate the companies that have gender neutral or non-discriminatory pricing policies. Most importantly, learn to love yourself. The battle can never be won unless we as women start to love ourselves for who we are and how we look. Capitalism and pop-culture sell us self consciousness and insecurities in order for us to shell more. Women are often perceived by big corporations and brands as ‘feeble’ minded insecure targets used solely for instilling profits. The world is full of sexist advertisements where already fair women sell us fairness creams and already ‘perfect’ women sell us self-consciousness and instil the ever changing idea of beauty. It is important for us women to be aware of what we really need for our bodies and not let advertisement convince us otherwise. Next articleWhy Were The Male Heroes ‘Masters’ Of Both Women And Nature In Hindu Mythology? Nabeela identifies herself as a communitarian and a pacifist. She is an awkward person who finds it easier to write than to speak and also happens to be a student of law. Is It Safe For Women To Be Under Surveillance? Millenials Versus Marriage: Is Marriage Dead? How To Help A Survivor Of Abuse Or Violence?